After a slightly inconsequential delay, the final cover of the last Chronicle Of The Unhewn Throne book is finally at hand. And should you miss it the title has been revealed as well: The Last Mortal Bond. From now on we can officially call it the great "TLMB" as author Brian Staveley has so done himself on one of his tweets. The cover was once again crafted into existence by the talented Richard Anderson, who also did the covers of the previous two books. Just look at the luscious digital brush strokes that Anderson is very known with. This is by far my favorite among the lot! 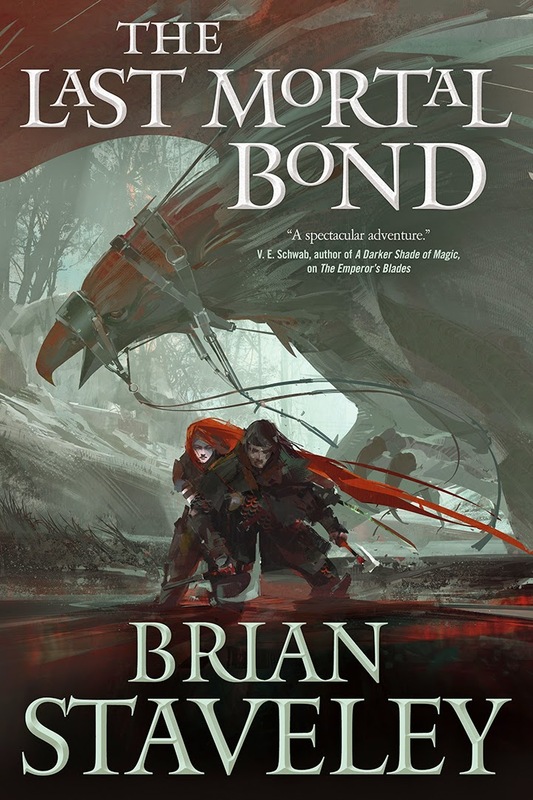 Check out the cover of The Last Mortal Bond (Chronicle of the Unhewn Throne Book 3) by Brian Staveley. The synopsis is still in the wraps, but we can definitely spend our time admiring this great cover. Just look how great this series will look into our shelves. The Last Mortal Bond by Brian Staveley will be released on March 15, 2016. Head over to Tor.com for more.